This is a great recipe by Sara of My Merry Messy Life. Commercial disinfecting wipes have a Lot of chemicals in them. Sara shares the results from the Environmental Working Group for a couple of the commercial products. It’s eye-opening reading. 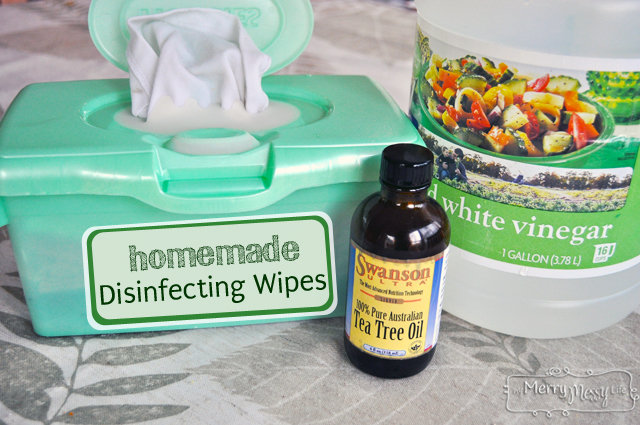 It was enough to spur Sara to make her own homemade disinfecting wipes. 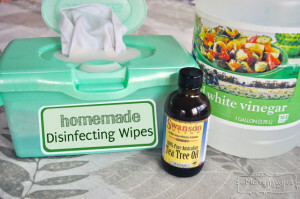 Sara’s wipes are all-natural, super cheap and green (reusable). The homemade version uses essential oils and just 1 other main ingredient. The ony other thing you need are clean cloth rags.